Disclaimer: Real quick, I just want to make it clear that in no way do I condone violence against sharks! They're my favourite animal ever and even though they're kinda scary they are so awe-inspiring. They don't deserve to be killed! I could possibly go on a big shark-culling rant later on about this because it's just not cool! I know it might seem kind of stupid to be choosing a shark fighting song when I am not into fighting sharks, but it's a nonsense song as it is. Don't sweat it. It's fun :) It's the Aquabats. Enjoy! I'm a Shark Fighter, I fight sharks! 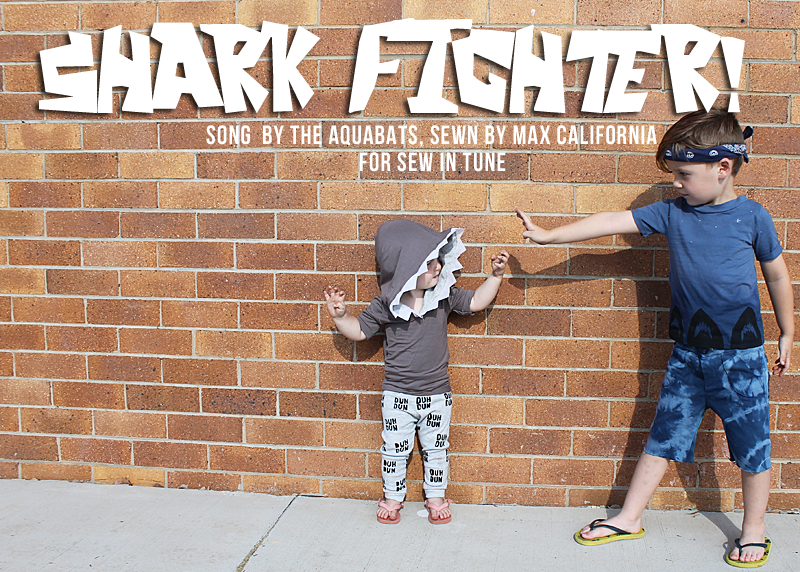 The song is about our hero, Shark Fighter. He wears a bandanna and a topaz necklace, he's extremely reckless. The story is that he had a girl and a shark took her away from him. Maybe the shark ate her, but I like to think the girl ran away with the shark ^_^ So now Shark Fighter has a vendetta against sharks, his only goal is a shark casserole. 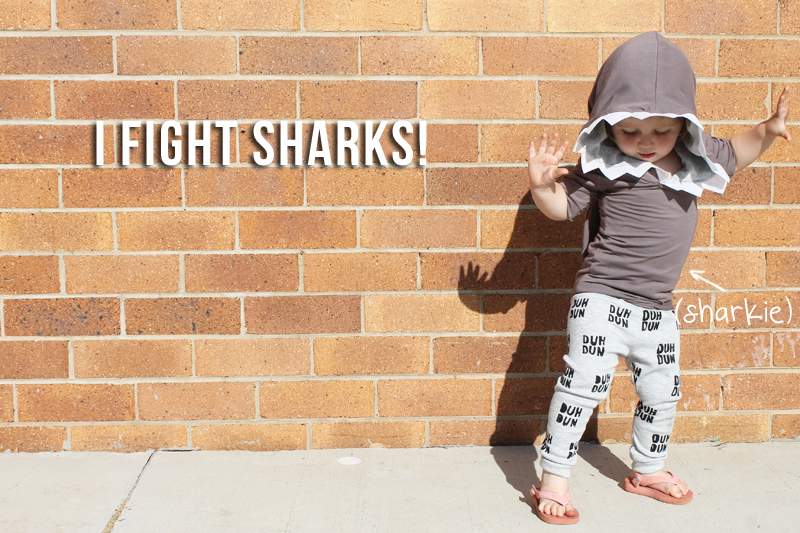 For Shark Fighter's outfit, i didn't want to do a costume-type thing, although Vincent would have LOVED that heaps. He really likes what I came up with though, so win! I really wanted like an 80s hero kind of vibe going on, and I did contemplate putting some hair extensions in Vin's hair so he had a mullet! The shorts are the Small Fry Skinny Jeans by Titchy Threads, in a size 4. 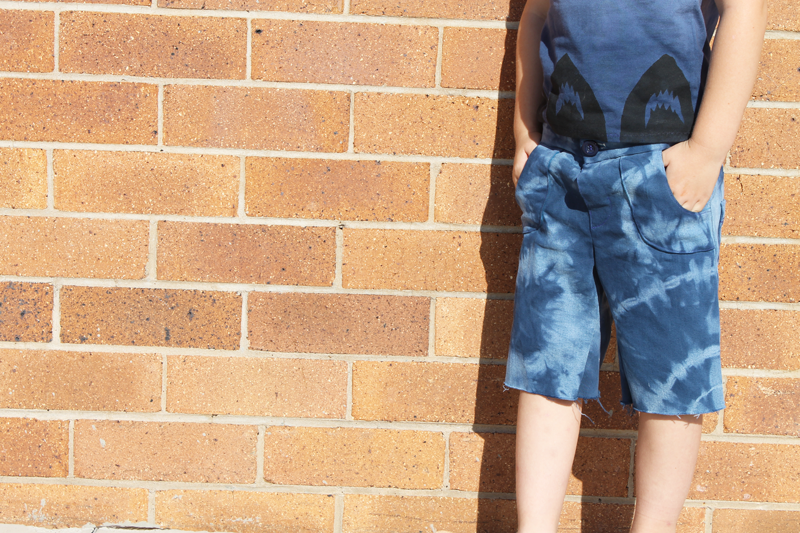 I used an old pair of stretch denim jeans for the fabric, they were a pale blue and once I stitched up the shorts I i tied fabric scraps around sections of it and chucked it into some blue dye for the night. I am pleased with how they came out! I was a little concerned about awkwardly placed rings of dye, but thankfully there is none! 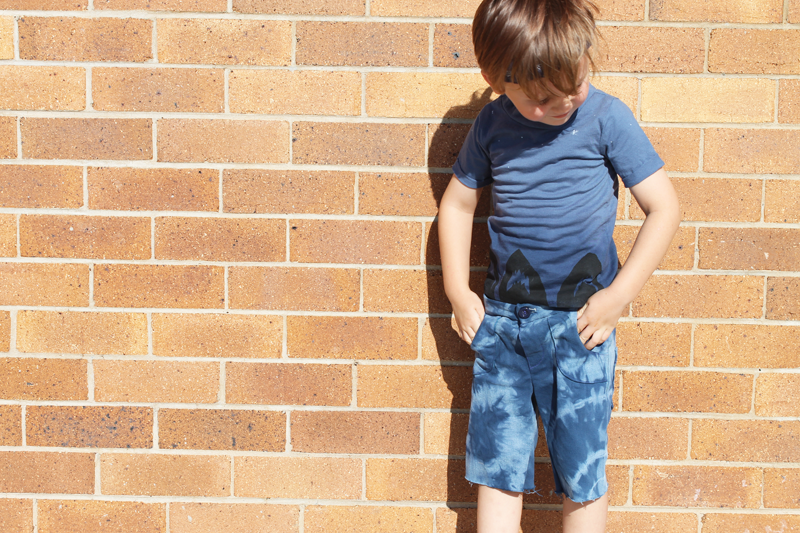 Vincent really likes them because the denim is stretchy, and that's his new favourite thing is stretchy shorts! 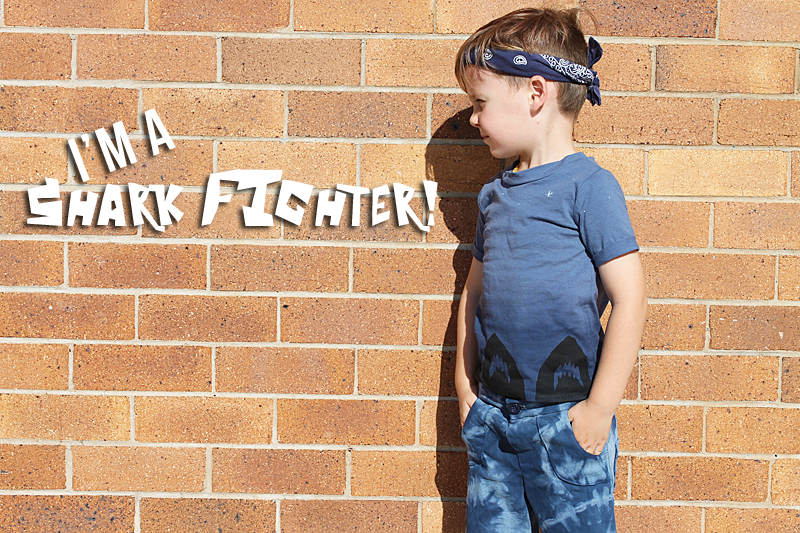 I used the Flashback Skinny Tee by Made by Rae for Shark Fighter's shirt. I dip-dyed the bottom of the shirt once I had sewn it up, leaving it for about an hour so that the bottom would be dark and the dyed water would seep up to the chest region. It's got a realy subtle ombre going on and I was stoked that it worked out exactly the way I wanted it to! The shirt refers to the lyric "I will avenge my lady with my life! Or until I die in a fight against the Underwater Army of the Night" and features freezer-paper stencils of sharks, Jaws-style, across the bottom. I used a toothpick and some white paint to do some little stars across the chest. 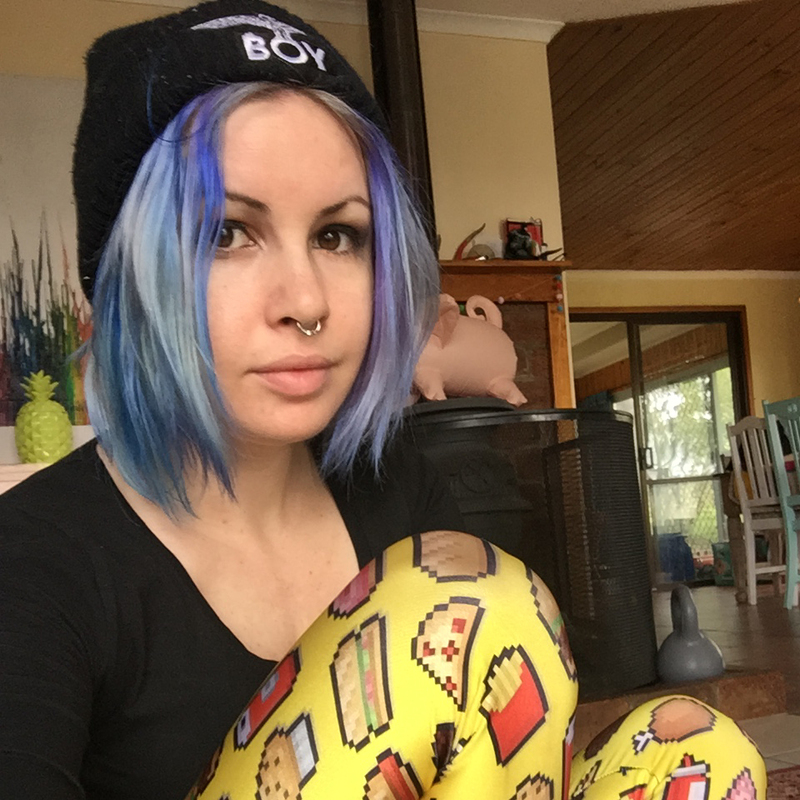 Her leggings are from my own pattern, and I stencilled (using freezer paper) over and over and over and over the words "Duh Dun"! 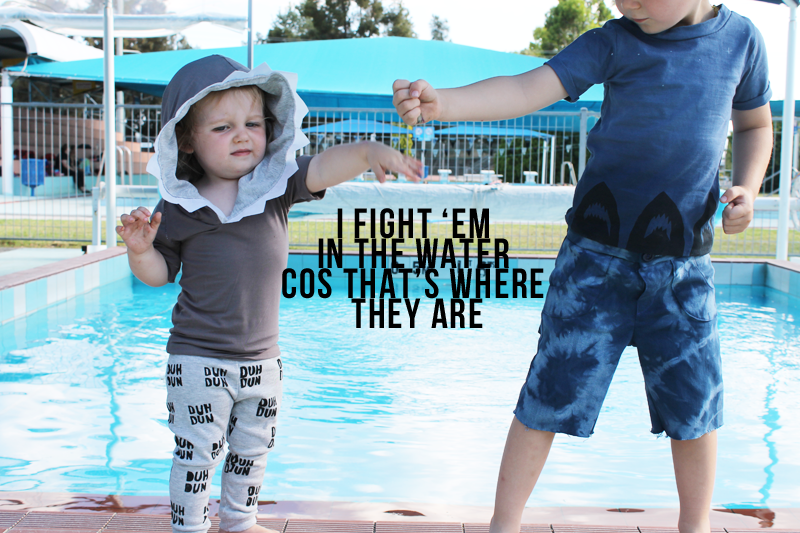 I know it's a bit obscure but i love them because it's the sound I make when we are playing sharks in the pool, ala Jaws theme! We went to the beach last weekend to spend time with my inlaws, and I cleverly did not have everything finished in time. Because Shark Fighter photos at the beach? Would have been PERFECT. 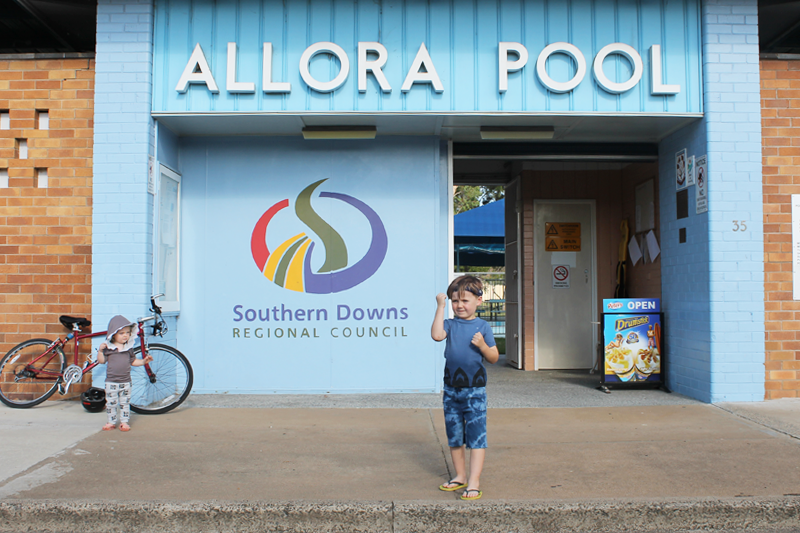 So I did the next best thing, bundled the kids in the car and headed to the small town Tim grew up in and took pics at their cute little pool. 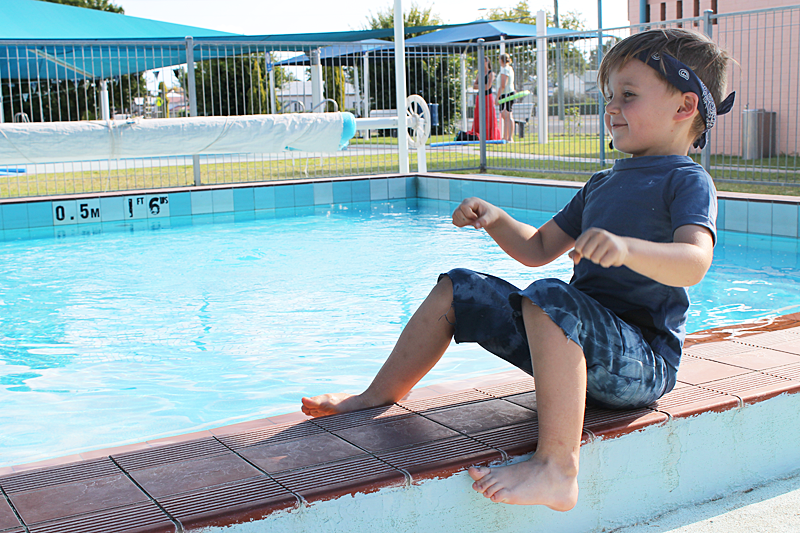 We went for a swim afterward and Vincent was still in Shark Fighter mode! I'm so happy with their outfits, actual wearable outfits that are going to be a good addition to their wardrobes. 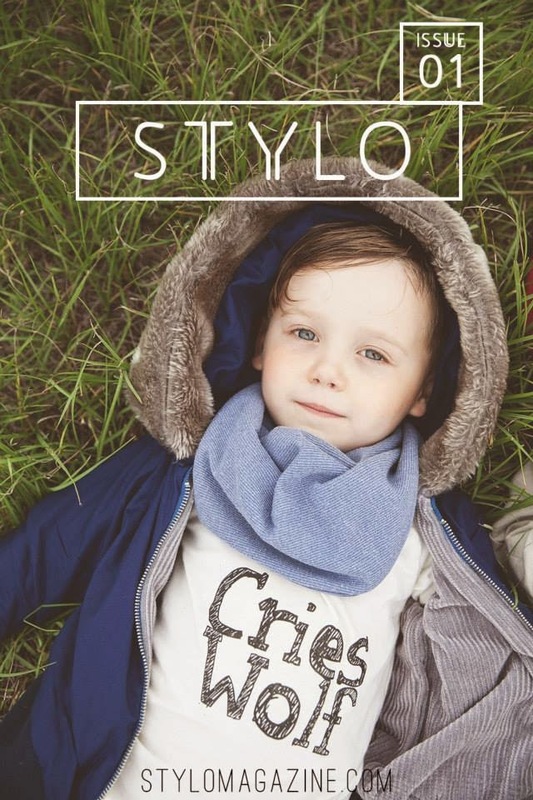 The kids have SO many clothes, lots of handmade which rocks, but it's winter soon and I should be sewing for that! How could I resist some Aquabats goodness though? he rides an otter like a motorcycle! Haha I love this! 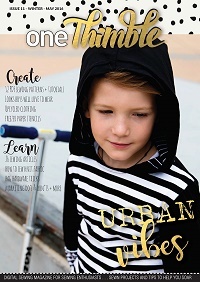 So fun - love the handprinting and the dye-ing and the shark tooth bimaa! You're awesome. oh girl! that's amazing! i really can't say which piece of the outfit i love most. maybe the shark t-shirt? though the bimaa and the leggings and the shorts are freaking cool, too. 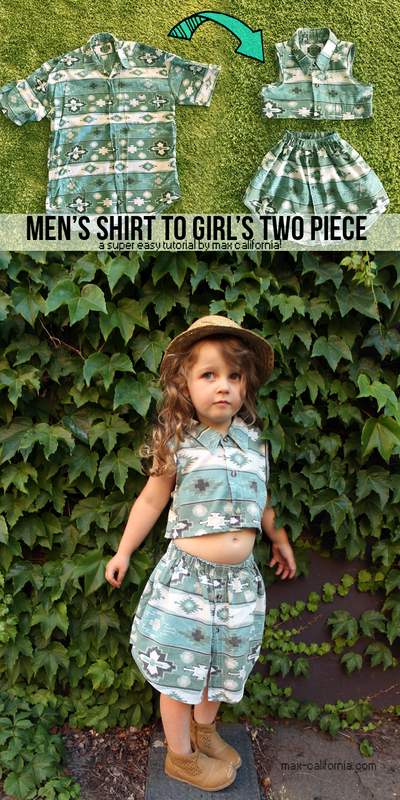 These are some seriously cute outfits! I'm always so impressed with the level of detail you add to everything. shark bimaa!!!! I love all of this. So.much.fun! 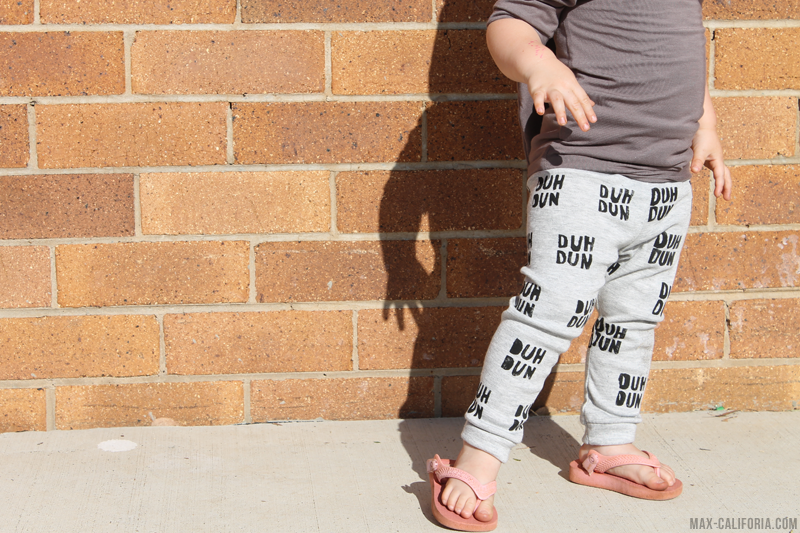 I love the 'duh dun' all over the leggings...too cute! Would have loved to see Vincent rock a mullet! Cool outfits! Love this Ari! 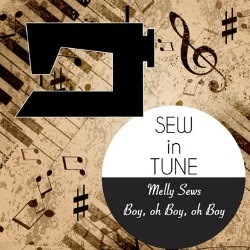 Thanks for sewing along with us. 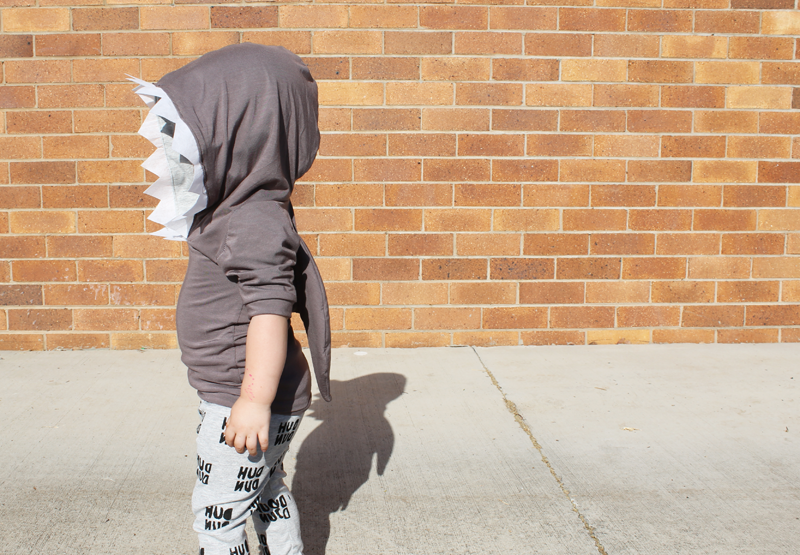 Shark sweatshirt is the coolest! Love both outfits! This is so much fun! Is she the cutest shark ever? I love that hood with the teeth. So smart and somehow adorable on her. The tee and shorts look like a perfect wardrobe addition. You put so much work in Ari! Great job! I AM DEAD FROM THE CUTE! 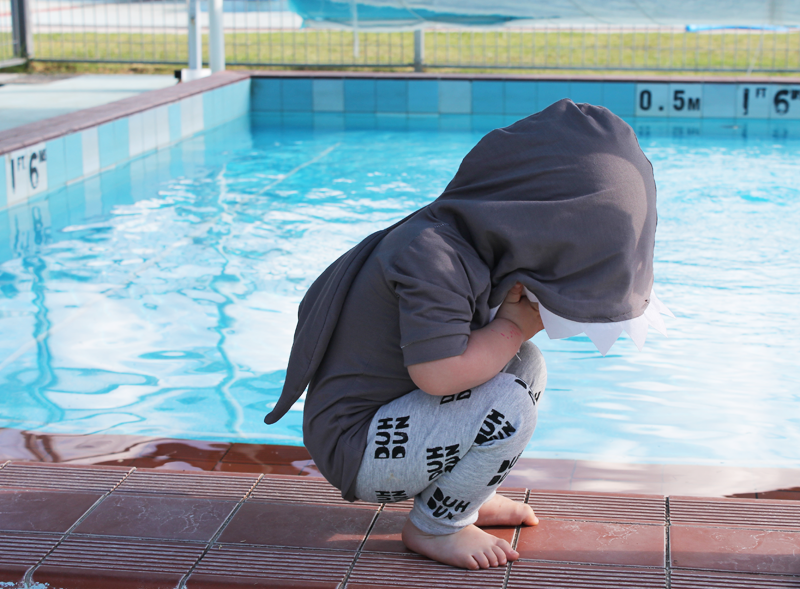 I want shark hoodie so bad! So fun! I love everything about these! I too hear the Jaws theme when I read "duh, dun". I realllllllllly love the sharklette (oh yes I did) hoodie! I would wear it every day. It reminds me of my favorite quote from Tower Heist.. "sharks are born swimming.."
Not sure if my previous comment worked.. but in case it didn't.. I <3 the sharklette hoodie! So much fun! Great job!